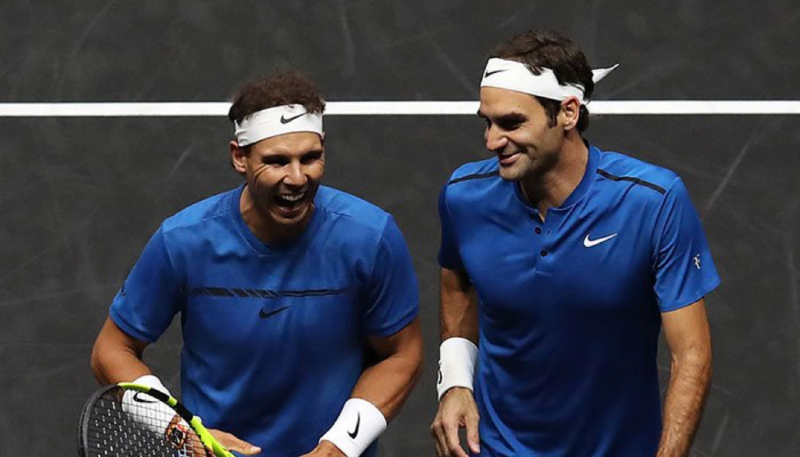 According to Todd Woodbridge, the former Australian tennis star, Roger Federer and Rafael Nadal are the perfect role models for all sportsmen to follow. Woodbridge suggests that the two stars are still topping the ATP rankings, in spite of being in the latter years of their illustrious careers. While it is true that Federer has moved past his peak days, what made the former Australian tennis star make such a claim about Nadal—aged 31—is shocking for all. Sure, Nadal is not at his peak anymore, but it would be foolish to suggest that he is at the end of his career as well. Woodbridge’s statement would have been completely justified, had it been about tennis, as a sport only. However, when you consider how Woodbridge has claimed that both, Federer and Nadal, transcend all sports, you cannot help view the statement as a cheap publicity stunt. On top of that, Todd Woodbridge also decided to go all Shakespeare with his statement by saying that you need to lay your soul bare in the pursuit of being as good as you possibly can. He, then, went on to comment on how Federer lays his sole bare with his emotions and how Nadal does with same with his physicality. However, to act as if these two are the only sporting superstars who lay their soul bare would be nothing short of a joke, especially when you consider the other sporting giants—such as Lionel Messi and Cristiano Ronaldo—who have been known by people, all around the world, to inspire greatness, awe and magic. On top of that, regardless of which sport you talk about, it is a fact that no sportsman will ever match the legacy left by the greatest of all time, Muhammad Ali. It is good to live in today—as Woodbridge does—but then you have got to remember not to make such erroneous claim or else you will making a fool out of yourself—which Woodbridge did.